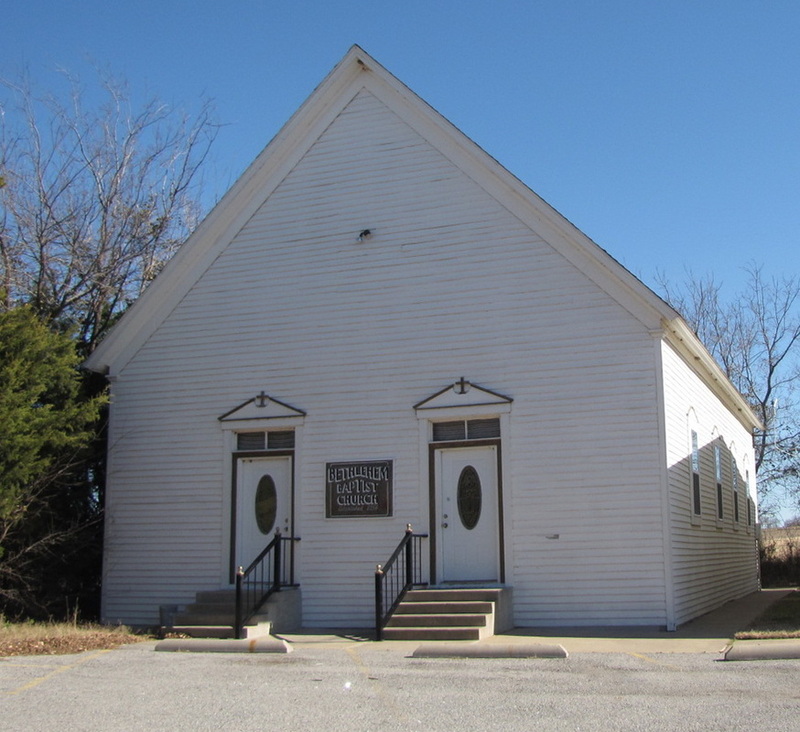 The Bethlehem Baptist Church is both one of the oldest and one of the newest churches in Collin Baptist Association. In 1843 services began in the log cabin home of Mr. and Mrs. Hugh Woody. The church was formally constituted as the Bethlehem Baptist Church in 1854. It was served by a circuit riding preacher who preached for the congregation one Sunday each month. The church was a member of the Trinity River Baptist Association. Sometime after Bethlehem was constituted a one room frame building was built on the five acre site of the original log cabin. This frame building is still being used for the worship service. Due to a decline in population in the community, the Bethlehem Church discontinued services in 1958, although it did not formally disband. In December of 1984 a reorganization service was held. Gilbert N. Callaway, Director of Missions for Collin Baptist Association, moderated the service. Laymen C. A. Cass, Jerry McDonald, and Rollins Kerby initiated the move to reorganize the church. All members still living who had kept their membership on the roll of the church during the sixteen years of inactivity, plus five persons who joined in the reorganization service, constituted the membership of the reorganized church. In 1985 Bethlehem called Dale Berry as pastor. He lives on the church grounds in a mobile home. The church shares the grounds with the Bethlehem Cemetery which was begun in 1845 when Mrs. Hugh Woody was buried on the site. Since Bethlehem Church has been reorganized it has built an educational building adjacent to the original frame building. Both buildings are used for worship, Bible study, and fellowship. The 1985 resident membership of this rural church, located about seven and one-half miles northeast of Farmersville, was twenty-three. in 1904, from J.B. and Martha Watson. pastors included B. Watson, W.D.